UBANGI STOMP™ - in GWAPE APE!! You asked me to bring it back, so its coming. a "gritch'stortion" pedal for those who like surf AND turf with their gretsch or any twangy guitar in general. I've even heard of strat and offset players praising heaven with it. harness that grindy tube clip at decent volume. I'm upping the boutique ante' of course using silver mica,tantalum caps, metal film resistors, as well as switchcraft jacks for a solid american build. 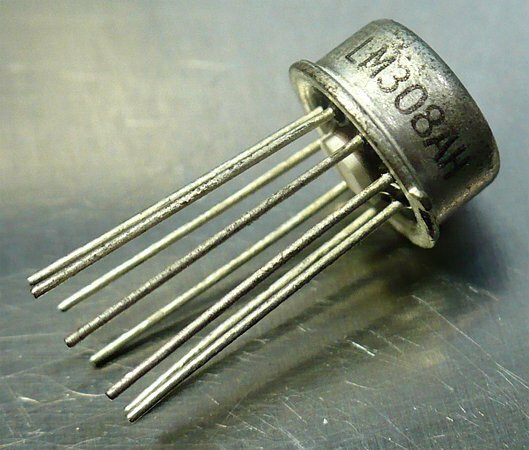 There's an internal trimmer for controlling gain on the low mids end (you can flatten the low mids nicely or snark em), and a socketed *vintage 60's NOS Metal can LM308AH Operational Amp (pre-dates the plastic chip version and its cork sniffing qualities are sweeter IMO). To be forthright what inspired it all in the first place for me was when the Straycats were playing in Europe back in 81' at Rockpalast and Setzer (mentioned for educational purposes only, I have no affiliation w Setzer, STP, Vox, Boss, EH, or Straycats both are registered trademarks) had to use an EH Memory man delay instead of his then boss analog delay w his blonde bassman amp w an unorthodox vox 212 cab instead of his bassman cab he normally played through and still does. Anyway it changed his sound in a cool way, it was very punk rock but still twangy clean w dirty edges. What a sound! So.. Somewhere in the 2008'ees by accident I had a broke down R*t pedal I needed to fix and used the parts I had on hand.. The gain intensity was different, as was the attack and the guitar stayed in the mix better and it totally reminded me of that sound I just mentioned from the Cats live show. Then I plugged it into my tele and I was gettin my fav STP "tripping on hole" tone w it when I turned the gain up another few numbers. Anyway you get the point.. Its got a cleaner response w a sweeter EQ, chords hang like over ripe fruit or chubby pinecones (depending on your amp settings) from the tree ..or something like that when you keep the gain down and the output up. You can crank the gain and use the tone filter for full gnar weeze tones or smash your pumpkin too but thats not the point on this build. Lets carve the woody clean-dirty sounds on this Tiki, add your favorite reverb or delay and stomp. note: pedal color - You will be receiving a Ubangi in Aquarium Tank metallic, a gumby teal-ish original color. video linked from Vimeo for educational references only. Stray cats - Ubangi Stomp 1981 from sera on Vimeo.